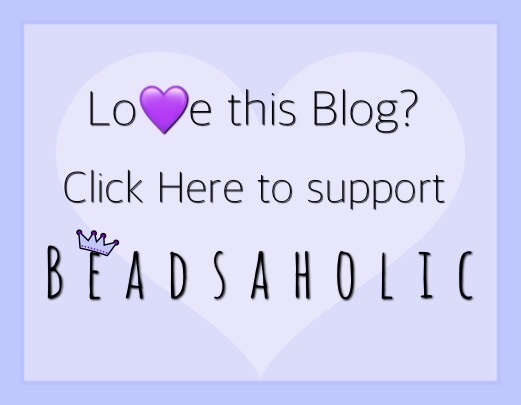 Today Beadsaholic brings a review of Beauty Beads Death Phantom, Frozen Way and Purple Universe! Recently I received some new glass beads and silvers from Beauty Beads and I must say I am totally in love with this brand. The glass comes in both a standard size and Jumbo size. Colors, designs and techniques are fantastic. The silvers have an artisan feel to them, they are a nice size and weight at a reasonable price. All photographs belong to Beadsaholic, please give credit when sharing a photograph. Beauty Beads Death Phantom is a fantastic Raven skull that sits perfectly on the wrist. If you love Skulls or Ravens, then this is the perfect bead. It’s large at approximately 29mm x 12mm x 13mm and weighs 11 grams. Death Phantom retails for $75.05 / €63.75 / £56.00 prices include vat, if outside of Europe you will need to sign in to see the price without vat. Beauty Beads Frozen Way is such a stunning bead! This bead has turquoise blue dichroic glass encased in clear with slightly raised white buds on one side and you will see some bits of sliver throughout. This bead is part of the Beauty Beads World of Beauty Large, measuring an average of 16 mm high x 9 mm wide and retails for $52.14 / €44.29 / £38.91 prices include vat, if outside of Europe you will need to sign in to see the price without vat. Beauty Beads Purple Universe is a beautiful frosted purple glass with blue buds and black and white designs. This is part of the Beauty Beads Large designs measuring an average of 16 mm high x 9 mm wide and retailing for $33.18 / €28.18 / £24.76 prices include vat, if outside of Europe you will need to sign in to see the price without vat. Over all, if you are looking for edgy beads, then you can’t go wrong with the Death Phantom. Beauty Beads Glass beads are amazing as well and I truly enjoy wearing them, the colors and details are great. If you would like to browse Beauty Beads, then you may click the banner link below. Perlen offers free standard shipping and is vat free for those outside of Europe. As always, I love hearing from you all. I’d love to know your thoughts on Beauty Beads? Have you ordered any and if so, which ones? I personally love their silvers and glass! I’d love to know what’s on your wish list! 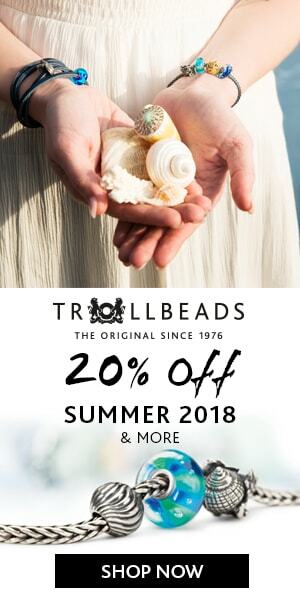 ← Trollbeads World Tour is Back!